Who and what does a chiropractor treat? The answer may surprise you. At Loehr Chiropractic & Acupuncture, we help patients of all ages with a wide assortment of health issues. Our goal is to restore the body to its natural state of optimal health. To accomplish this, we offer a variety of treatment options, including manual adjustments, acupuncture, trigger point therapy, nutrition, rehabilitation, massage, decompression therapy, cold laser therapy, electrical stimulation therapy, and Kinesio taping. We can also serve as wellness lifestyle coaches to help you improve issues that impact your health. Chiropractors have a variety of techniques to choose from when developing treatment plans for their patients. At Loehr Chiropractic & Acupuncture, we utilize the technique or techniques best suited to your unique health situation. A form of hands-on spinal manipulation, this technique is the most common way that we adjust patients at our office. When this method is used, don’t be surprised if you actually hear your body pop back into its happy place, i.e. proper alignment. This is a specific type of adjustment that focuses very precisely on getting the secondary kinks, otherwise known as subluxations, out of your body. By removing the subluxations and misalignments within the spine, we help the nervous system restore balance to the body, which allows for proper functioning. Activator and impulse are both low-force instrument techniques used to help normalize movement in the joint. Utilizing an activator, a small, hammer-like tool, we can make an adjustment using less force. The activator also helps us adjust nearby muscles. Bearing a close resemblance to the methods first practiced by the Palmers in the early days of chiropractic, the full-spine specific technique uses deliberate and gentle impulses of the hands to resolve subluxations and activate the body’s own healing systems. This method is a systematic approach to analyzing and correcting sacral and cranial distortions through overall spine and cranial work. With craniosacral therapy, a light touch is used to work with the cranial bones and the structures of the face. Excellent for pregnancy care, the Webster technique was developed by Dr. Larry Webster, the founder of the International Chiropractic Pediatric Association. Doctors certified in this technique are able to restore balance to a mother’s pelvis, alleviating tense muscles and ligaments. Women who are treated using the Webster technique during pregnancy report less pain, experience easier births, and have a decreased risk of breech babies. Both advanced and gentle, this technique uses a table with adjustable parts to achieve a very specific adjustment. Your doctor is using the Thompson method if he or she checks your leg lengths with the legs straight, knees bent, or head turned to the side. 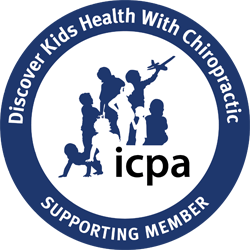 Numerous studies conducted by the American Chiropractic Association, the International Chiropractic Pediatric Association, and other trusted medical groups have demonstrated that chiropractic care is one of the safest and most effective treatments for patients of all ages. Parents often visit chiropractors for assistance with common childhood ailments like colic, ear infections, bed wetting, constipation, and attention deficit hyperactivity disorder (ADHD). In addition, people of all ages can benefit from the relief that chiropractic care provides for musculoskeletal problems. Discover how your family can benefit from our holistic approach. To learn more, call Loehr Chiropractic & Acupuncture today or contact us online to schedule your first appointment.